The text read, "Leigh in car wreck. Brakes failed. She's at the hospital". Nurse practitioner Leigh Weston was driving home along a familiar route following her night shift in the local emergency room, when ordinary turned life-threatening. Earlier in the day, a decapitated body had been found at the bottom of the lake in front of her home; her property borrowed as a command center, while members of various law enforcement agencies sorted out the grisly details of their discovery. Surely she hadn't fallen asleep at the wheel? Homicide investigator Ryan Parker has known Leigh Weston nearly all her life, her brother being one of his best friends. Right now he just wishes that their reunion could have been under more pleasant circumstances, he knew she was back in town because her brother had asked him to "keep an eye on her"; a recent stalking incident by a crazed patient had been horrifying, to say the least. Now she has been exposed to what investigators are suspecting may be the work of a serial killer. Has the location of her home put Leigh in danger once again? 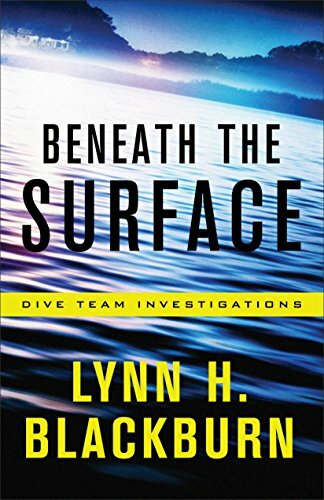 "Beneath the Surface", the title derived from the dive team of which Ryan Parker and his associates are members, is a clever use of words, for this suspense packed novel is layered nicely with suspects and evidence that delve deeper, but don't divulge secrets . . . until the very end! *I received a copy of this book from the publisher, with no obligation to review or provide a positive review. The opinions stated are entirely my own. 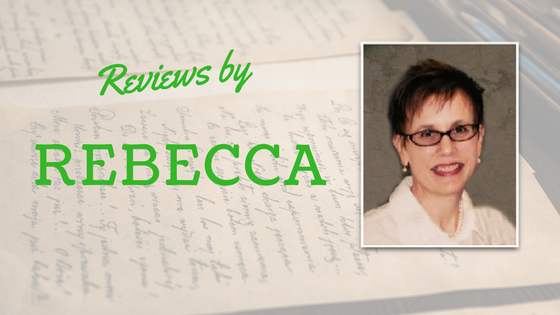 Rebecca has graciously offered a free and brand-spanking new Paperback of Beneath the Surface! This giveaway is limited to the continental United States. To enter our free giveaway, comment below and tell us! For TRIPLE ENTRY POINTS: Visit Inkwell Inspirations on Facebook for all of our news and reviews! Like, post, or follow to stay in touch. Names will be collected on Sat March 24 with a random winner announced the following day. Thank you for the review and the giveaway! I can imagine I'd be holding my breath a lot during this story! Yay giveaway! I LOVE tons of suspense! There can never be too much. Frank Peretti is the only Christian Fiction to make me not wanna be home alone! Seeing as how the idea of scuba diving makes me claustrophobic, I think this one will be high suspense for me! Thanks for commenting, Fayelle! you are in the drawing but please give us a way to contact you (follow the Inkwell FB page if you're not already, or leave your email address!) Thanks so much! I like enough suspense in my books to keep me turning the pages while still holding my breath. I also like those wow I never saw that coming moments too!